The passing anniversary year has brought the Pitmen many milestone events and bright emotions. Let us recall coming through to the Europa League semi-finals and Paulo Fonseca’s appointment as Shakhtar head coach. It is also worthwhile to note the Donetsk side performance in the Europa League and the Ukrainian Premier League this autumn. 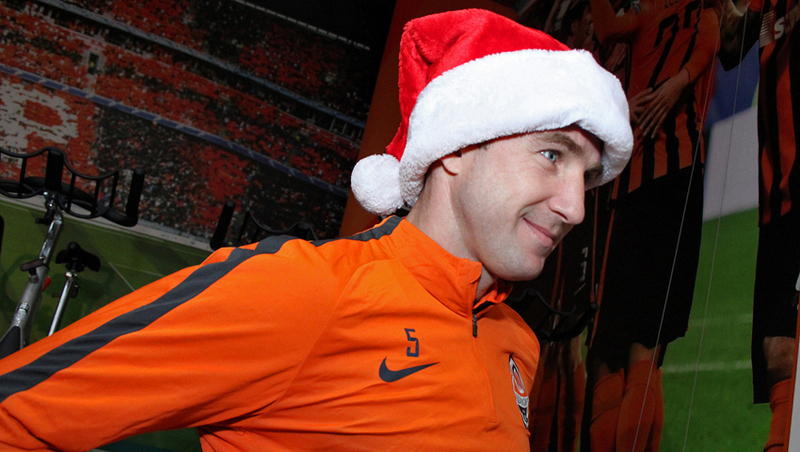 All of it allows Shakhtar to go away on winter holidays in high spirits, willing to give even more joy to the fans in the second half of the season, as no one can imagine Shakhtar without its supporters. The New Year’s photo shoot was held at the fitness centre of the Pitmen’s country base Sviatoshyn. You will definitely see what has come out of it on New Year's Eve on our site. For now, we are just lifting the veil.